Super Mario Archives - Home - EZStore – Shop, Ship, Enjoy! Add some swag to your laptop, tablet, or phone with these Super Mario Tech Stickers! 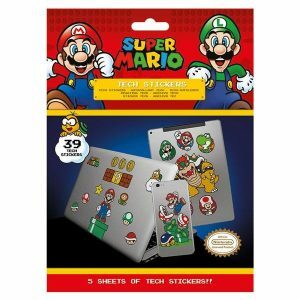 Recreate the Mushroom Kingdom on your own personal devices for the perfect Mario memorabilia with Super Mario Tech Stickers. A collection of different icons, characters and level details, mix and match to customize smartphones, tablets and laptops, and make your own version of the Mario universe with all your favorite characters included.